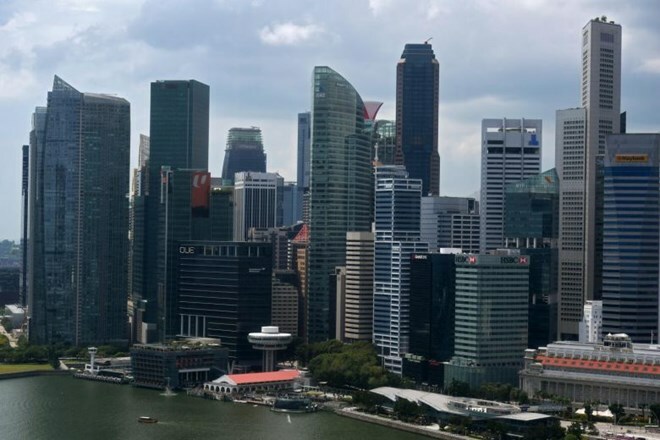 Singapore (VNA) – Gross domestic product growth of Singapore slowed down in the first quarter of 2019 to stand at 1.3 percent, compared to the 1.9 percent growth in Q4 of 2018 and 3.2 percent the previous year. The figure released by the Ministry of Trade and Industry (MTI) on April 12 came in slightly under expectations of 1.4 percent growth by economists surveyed by Bloomberg. Meanwhile, on a seasonally adjusted annualised basis, preliminary numbers for the first three months of this year suggest an improvement from the last quarter, up 2 percent quarter-on-quarter. The MTI said the country’s economic growth was contributed by the sector. The construction sector also rose by 1.4 percent in a turnaround from the 1 percent reduction in Q4 of 2018, marking its first quarter of increase after 10 consecutive declines. However, the manufacturing sector decreased by 1.9 percent year-on-year in Q1, reverting from a surge of 5.1 percent in Q4 last year, due to output declines in volume of engineering and electronics. The MTI will release further information in its Economic Survey of Singapore in May.